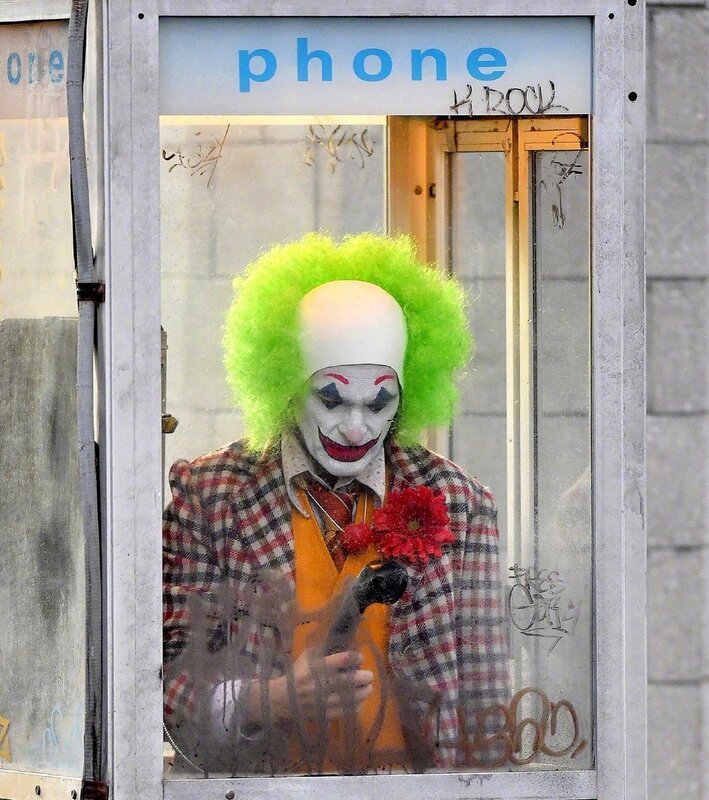 Those with severe coulrophobia should probably stay away from cinemas next October, as Todd Phillips’ Joker looks like their worst nightmare. 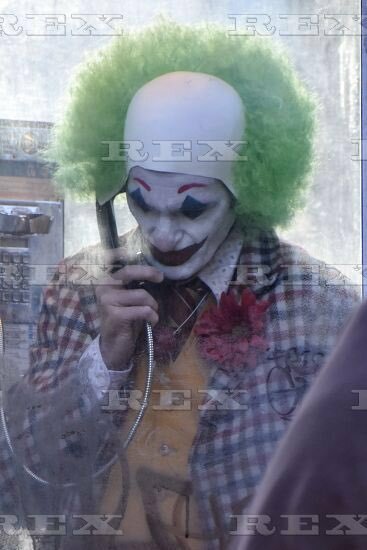 With the New York location shoot ongoing, we’ve seen an awful lot of Joaquin Phoenix’s version of the iconic DC villain over the last week, most of which seems to be a nutty fusion of Cesar Romero and Heath Ledger’s differing takes on the character. 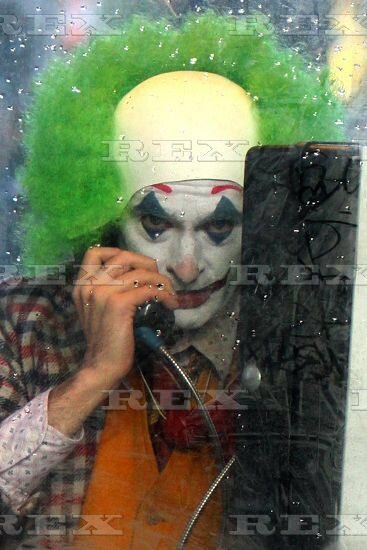 But now, it seems as if Phillips and Phoenix are really trying to accentuate the ‘clown’ in Clown Prince of Crime. At least, if this newly-released production photo is anything to go by. The picture depicts Phoenix in ultra-traditional clown garb. 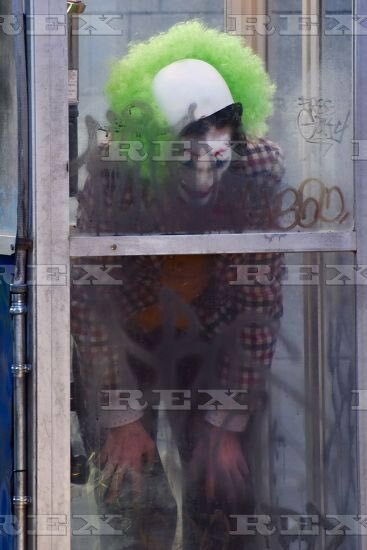 Big shoes, red nose, green fright wig and so on, but there’s a certain sinister edge to him. Perhaps it’s the creepily knowing look on the actor’s face, or perhaps it’s the way his clothes are frayed and slightly too old fashioned. 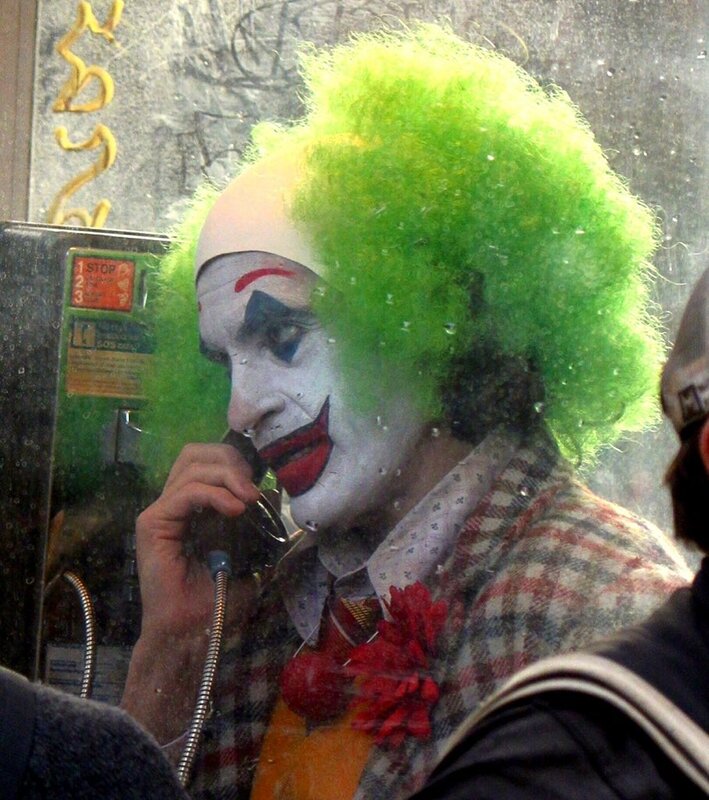 Either way, it seems possible there’s a sequence in the film where the Joker pretends to be a genuine clown to entertain children and ends up revealing his true psychopathic nature. 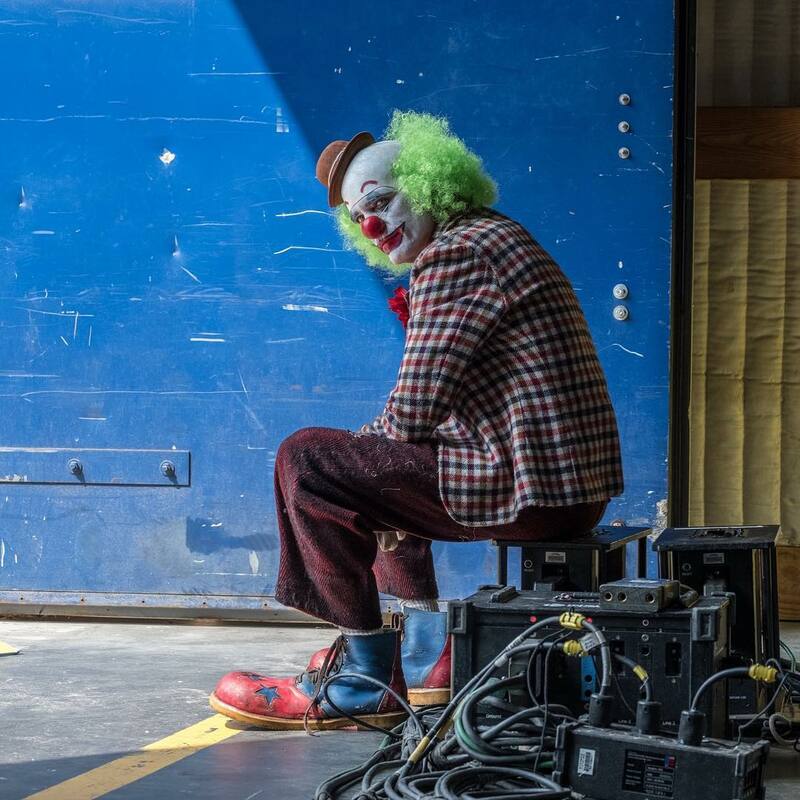 Whatever ultimately happens, it’s clear that he’s having a pretty bad day, as some set snaps of the actor in the same costume have also surfaced and you can check out everything for yourself in the gallery down below. 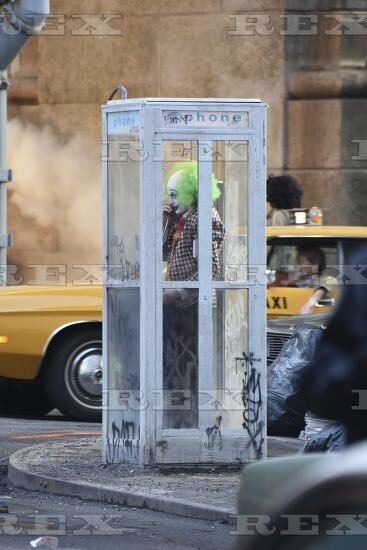 No matter what the Joker actually gets up to in the film, it’s no doubt going to be disturbing, if only because there’s not going to be a Batman around to stop him. With the movie promising to show us the origin of the character, we could very well see how the Joker created the Dark Knight, especially given that Thomas Wayne seems to be playing a big role in the narrative. Either way, this is a film with some serious talent behind and in front of the lens, and you’d hope that Martin Scorsese’s involvement as producer will ensure that it looks stylish and genuinely has something to say. Once the location shooting finishes and Phillips doesn’t feel the need to preempt paparazzi pictures anymore, I suspect the pic will submerge again for a while, just in time for a trailer at next year’s San Diego Comic-Con. Personally, I can’t wait. 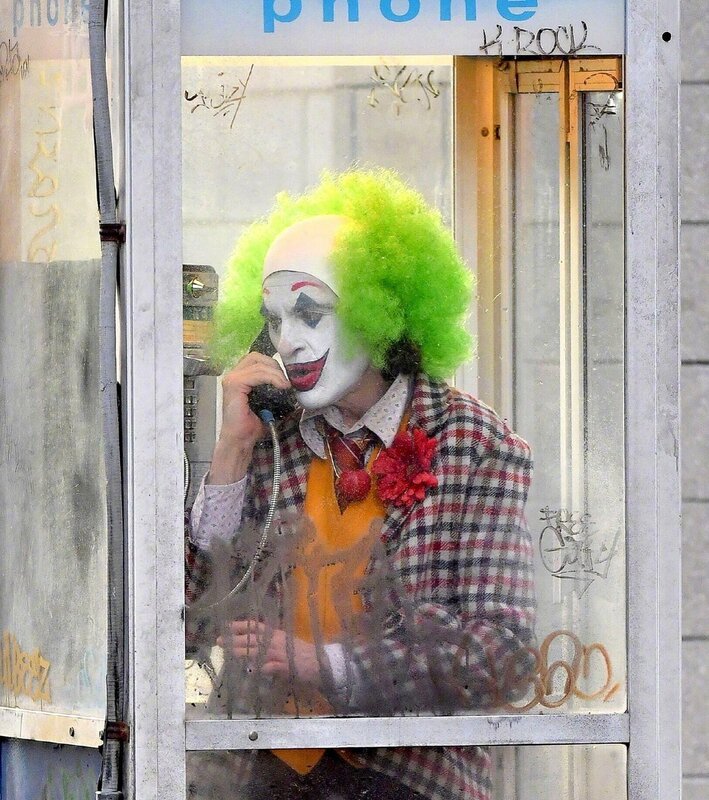 Joker hits cinemas on October 4th, 2019.